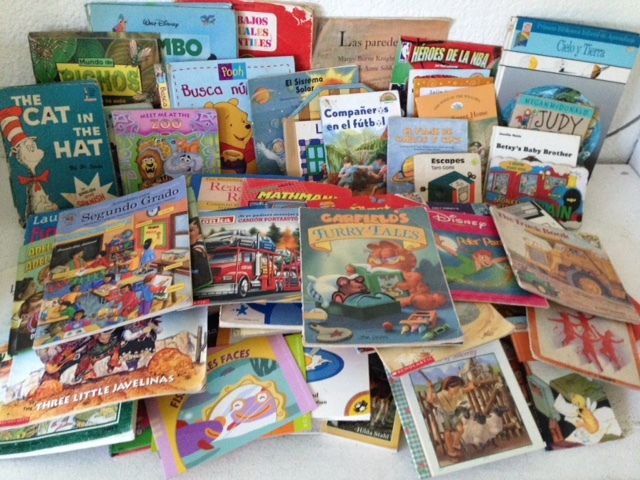 First delivery of books donated by Hekab Be Biblioteca in Akumal. 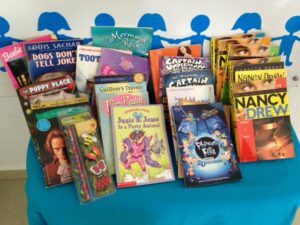 A couple months ago The KKIS Project – Keeping Kids in School – was approached by a Canadian non-profit named Library in a Week with the idea for a project here in Playa del Carmen. We needed a pre-existing room that would be painted and decorated, provided with furniture and filled with books. I am the Director of Operations for KKIS and took on the job. The Secundaria (junior high school) at Cristo Rey, a community north and west of Playa, was chosen and a call for book donations went out. People stopped by the KKIS office, we picked up donations from homes around town and I drove 40 kilometers to Akumal (a small town south of Playa) twice to receive books from the Hekab Be Biblioteca (Library) that was downsizing to make more room for the community center. One of the KKIS Board member’s granddaughter donated a stack of Nancy Drew books she had outgrown. Students from both public high schools where KKIS volunteers practice conversational English weekly brought lightly used books. The Canadian group arrives next Tuesday to begin painting the room and building shelves. 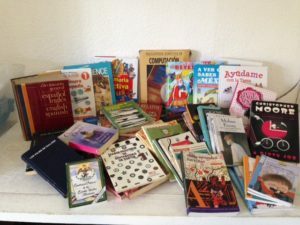 We have gathered books for all ages, both English and Spanish, with plans to make this a community library. More photos next week……..
And there are plans for another site at one of the elementary schools KKIS has been aiding for years in January!